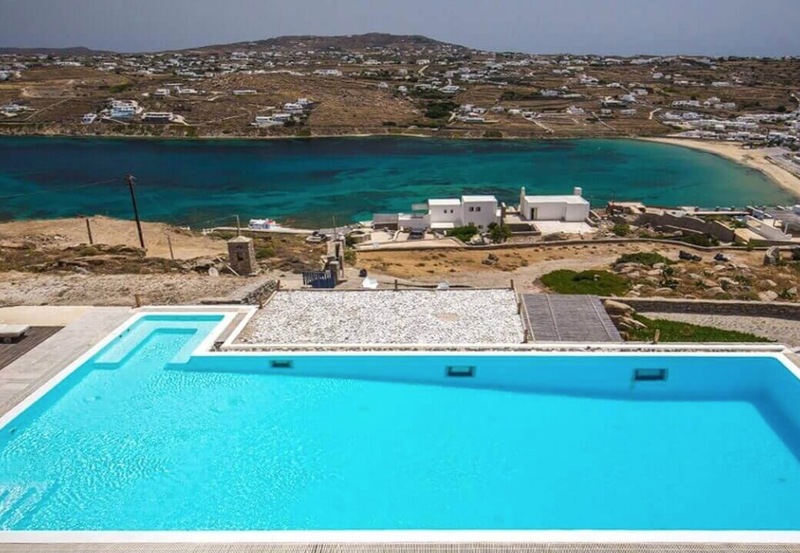 If being close to the wildest parties and the vibrant nightlife Mykonos is legendary for, then choosing a luxurious villa located in the beating heart of the capital or within an arm’s reach from all the hot spots is a prerequisite of a fun time. In your quest to find that perfect holiday home that lacks neither style and chicness nor pristine views, while also being close to all the main attractions (from restaurants and clubs to famous beaches like Ornos and Psarou), we give you 3 fantastic properties to look at. 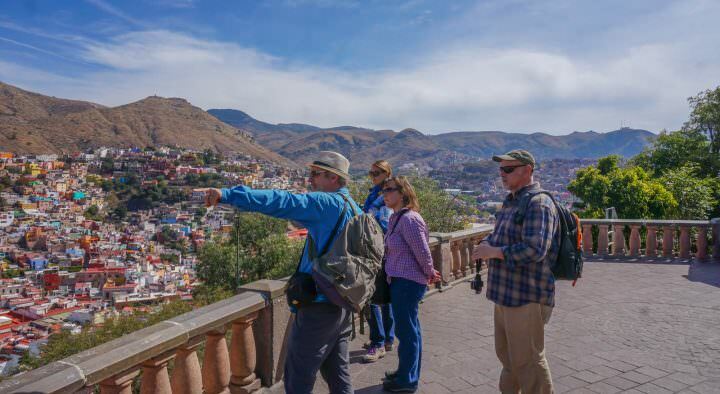 Just a few steps away from the center of the capital, Villa Siena impresses in a number of ways. Be it the charming blend of the old and new, the modern elements Siena has borrowed from traditional Cycladic architecture (see cubic stark-white constructions clashing against the cobalt blue of the Aegean Sea and the Mediterranean skies), the luxurious and functional interior spaces that have been meticulously designed to accommodate up to 10 guests while providing superb privacy at the same time with 2 independent guest studios on the lower floor, or the incredible views of the harbor and the endless blue due to its pristine location, Villa Siena is created to deliver pure elegance and all the amenities you may need for a palatial stay. Enjoy your breakfasts at the shaded pergolas, rejuvenate your senses at the pool-Jacuzzi, have your cocktail at the beautiful, flower-filled terrace, prepare dinner in the fully-equipped kitchen, and gather everybody around the stone courtyard just before you head downtown to take in fantastic night views of the boat-dotted sea. Comfort, luxury, and elegance describe this well-appointed exclusive villa with the aristocratic vibe and artistic feel. A construction in which Old-World charm merged into Cycladic vernacular, with white and blue dominating the colour palette, welcomes guests to stone-carved interiors (with all modern amenities required) and an amazing 1,000m2 outdoor area that offers unobstructed views of the Aegean and the Mykonos cityscape, along with various spaces to enjoy a meal, have your cocktail, throw a party, or spend some peaceful time with a book at hand. The villa is divided into 2 levels. The ground level is where you will find a swimming pool overlooking the sea, a beautiful garden, the dining area, 2 bedrooms, one bathroom, a fully equipped kitchen, and a spacious living room while the attic suite is created explicitly for couples that wish to inject their relationship with some romance, and has a living area, double sofa bed, and deluxe mattress. Three independent guest houses (each with its own entrance, kitchen, living room, bedroom and en-suite bathroom) allow for extra privacy among guests. From Villa Amour, everything is really at arm’s length, from VIP beaches and clubs renowned for their legendary parties to local attractions, restaurants, tavernas, and even the open-air cinema! 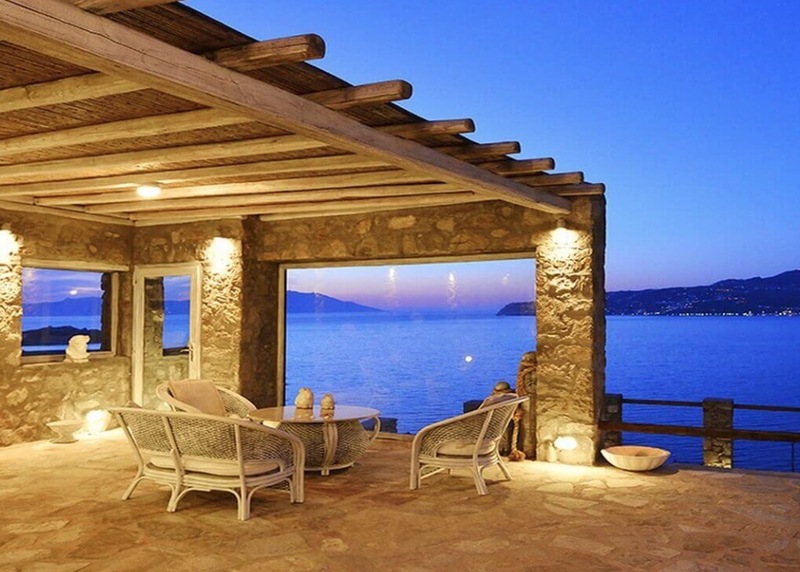 With superb panoramas of the busy harbour (a real spectacle, especially at night, when it literally lights up with fishermen’s boat and yachts arriving in hundreds) and soundproof walls, this contemporary, luxurious holiday property is the perfect vacation home for those that want to have it all – proximity to the vivid night scene and their privacy and peace when they need them. See Also: When is the best time to visit Greece? The minimalistic design that blends traditional features with modern elements inspired by the natural surroundings of the villa makes it particularly appealing and eye-pleasing. A modern kitchen (fully equipped), a conventional oven (fantastic for laying out your own pizza – ask your private chef! ), two terraces with superior ocean panoramas, a comfortable dining area (ideal for both romantic candle-lit diners or large family meals), and lots of nooks to enjoy some me-time while soaking up the sun and the pristine, heart-warming views are just a few of the things that can make you fall in love with Villa Amour! 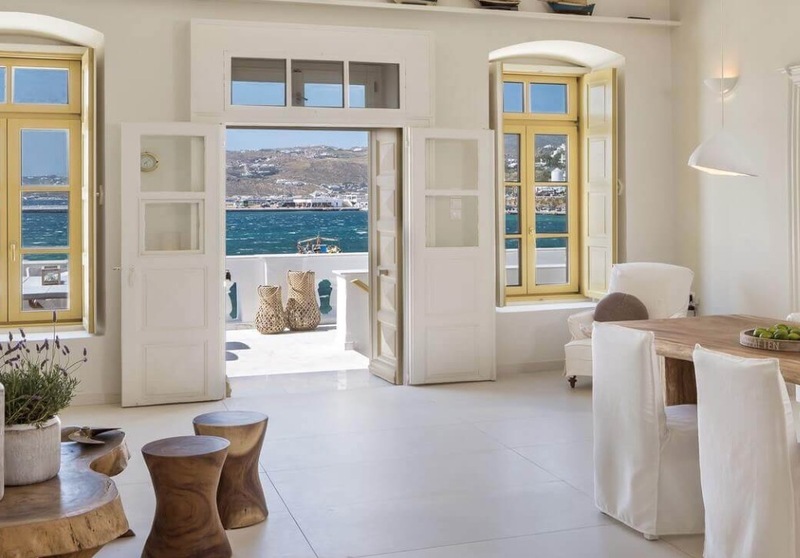 An elegant, 180m2 house with distinguishing whitewashed walls and stone details adorning its exteriors, along with elements borrowed from traditional Cycladic architecture and rustic notes that add old-world charm and impeccable style to the property. Built over two levels it offers guests stupendous panoramas of the Aegean Sea and plenty of amenities to enjoy their stay, like a fully equipped kitchen, spacious bedrooms with en-suite bathrooms, two guest rooms, a swimming pool with loungers and a shaded seating/dining area right next to it, glass doors for unobstructed views, and plenty of little nooks where one can luxuriate in a fine meal or simply have some privacy. 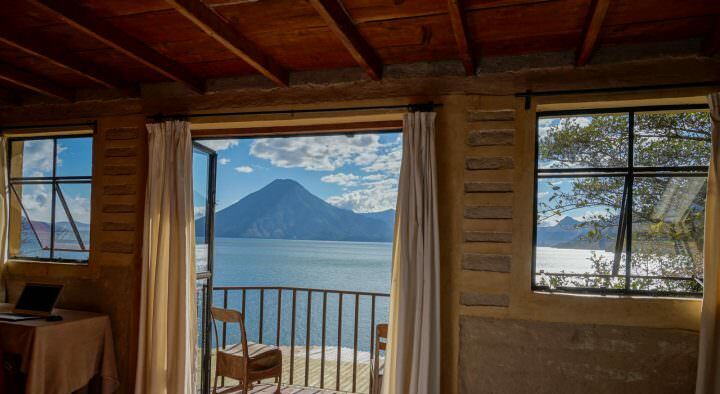 The views from this ravishing villa are fantastic. Overlooking the dotted-with-quaint-villages western coast of the island and a portion of the Aegean that turns into a real spectacle at night, when the twinkling lights of fishermen’s boats and swanky yachts make it look like a masterpiece of Van Gogh, the luxurious 140m2 property can comfortably accommodate a family of 10 members or a small group of friends with superior splendour. Besides the delightful details that give the place a true Mykonian flair, Villa Tutku has been meticulously designed to infuse a sense of serenity and reinvigoration to those living in it, with extreme attention to every detail, from the colour scheme to the furnishings. Among others, the dreamy holiday house features four spacious bedrooms (3 of which come with en-suite bathrooms), an extra guest house, a fully equipped kitchen, a nice-sized swimming pool, and more than enough dining and lounging areas that allow guests to enjoy their privacy, a hearty meal, a delicious breakfast with the company of stupendous seascapes from every inch of the property. 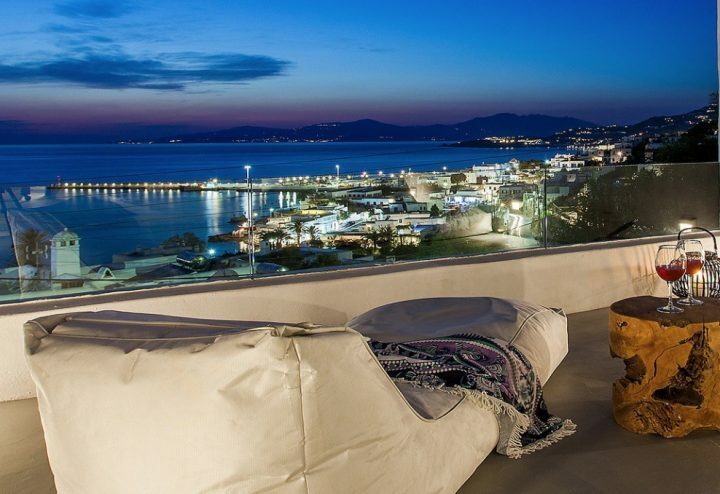 And, if you feel like partying and exploring the night scene Mykonos is so famous for, Ornos Bay is less than 2km away! Elegance, style, chicness, and grandeur characterise Villa Emily. 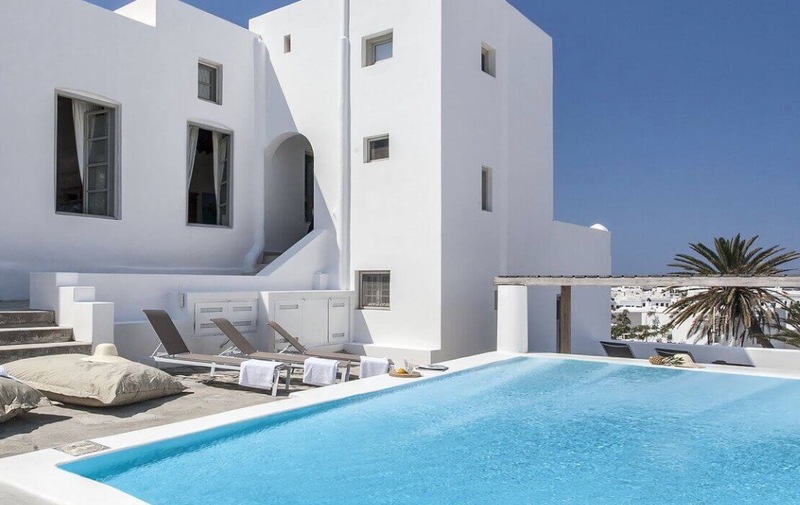 The exclusive 620m2 property with the beautiful brick details and marble floors offers scenic vistas of both Mykonos Town and the crystal waters of the Aegean Sea. Designed as two housing units to ensure the privacy and comfort for all 14 guests, it features an outdoor swimming pool with an arresting “light show” that comes to life at night and luxurious sunbeds, a designated BBQ area, lots of dining nooks, a traditional wood oven, pergolas, two guest rooms lacking no modern facilities and comforts (with private entrances), a fully equipped kitchen, and many more. Take your glass of champagne, choose the plush seating area of your likes, and let your soul be filled with colours, smells, and views only a few will ever see in a lifetime! 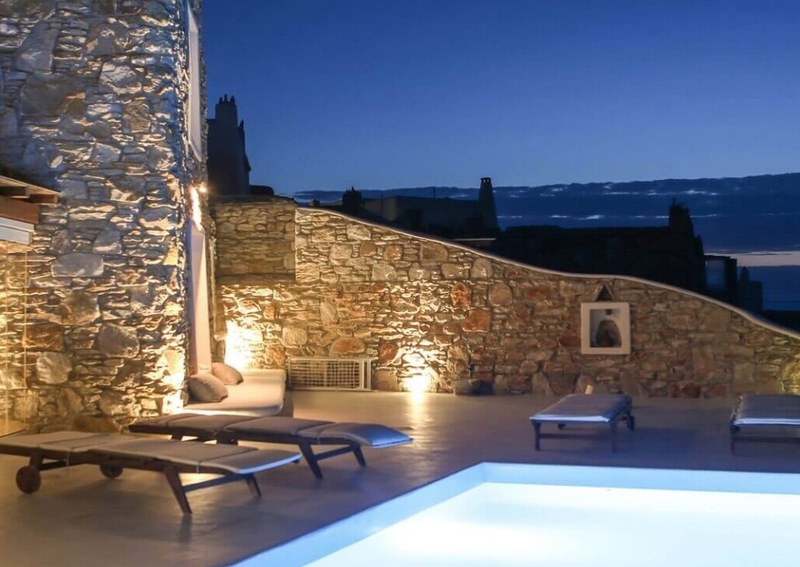 Find all Available Villas in Mykonos by Kinglike here. 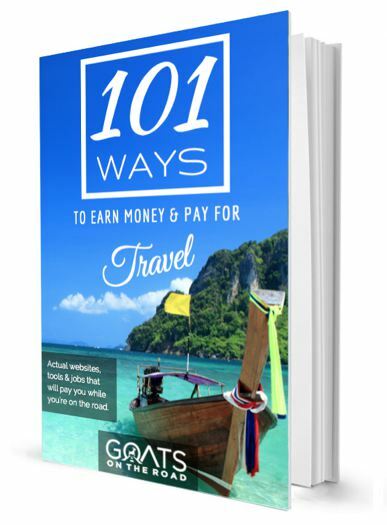 Thanasis Mougios adores travelling and Greece. 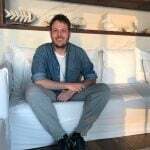 As founder of Kinglike, a travel design and personal concierge services company, he combines these passion to create the finest individualized travel experience for your holiday in Greece. 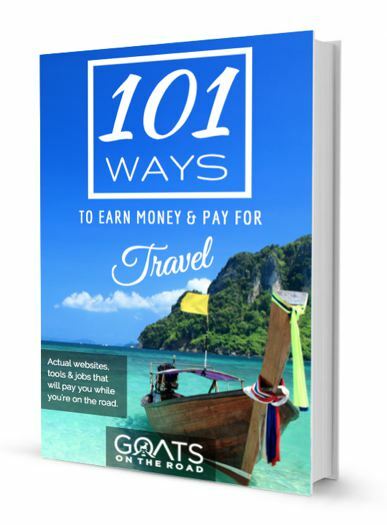 Every aspect of your stay is devoted to your contentment, from booking the villa or yacht of your dreams to making arrangements for your greatest wish or your smallest caprice.